City and highway driving are no match for the new Volkswagen Tiguan for sale near Huntington Beach at Timmons Volkswagen of Long Beach. This SUV boasts solid German engineering in the form of modern styling, advanced driver assist features, and available 4MOTION all-wheel drive, not to mention the extensive warranty coverage for VW SUVs! It’s no wonder Long Beach drivers are choosing the new Tiguan over competitors like the Toyota RAV4 and Mazda CX-5. Available 480-watt, 9-speaker Fender Premium Audio System. 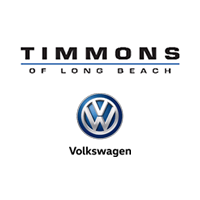 Find a new VW Tiguan for sale at Timmons Volkswagen of Long Beach, serving Cerritos and Signal Hill. Whether you lease or finance the Tiguan, the end result is the same—a crossover SUV that simply raises the bar. And if you’re still unsure which Volkswagen SUV is right for you, compare the VW Tiguan vs. Atlas!